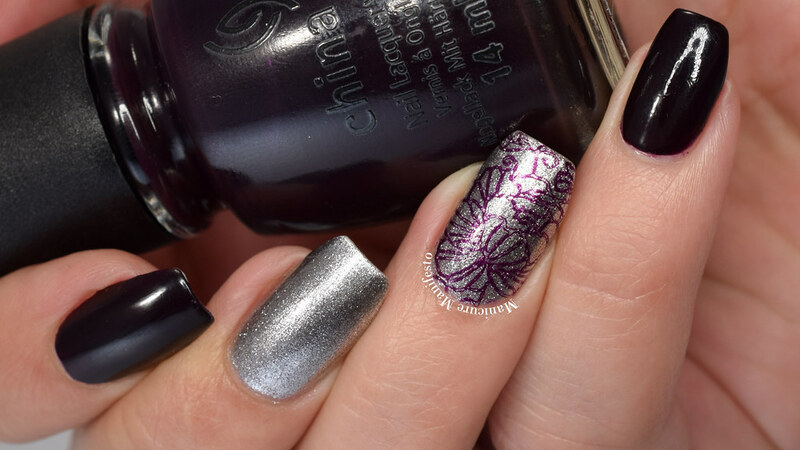 Today I have quick nail art look to share with you. I love mixing finishes and colours with a stamped accent to create pulled together look. I started with China Glaze Crimson on my pointer and pinky fingers along with Julep Missy on my middle and ring finger. Then I used China Glaze Crimson and MoYou London plate Pro XL 06 to add a floral design to my ring finger. I sealed everything up with a coat of CND Super Shiney top coat. Photos were taken in daylight spectrum lighting.